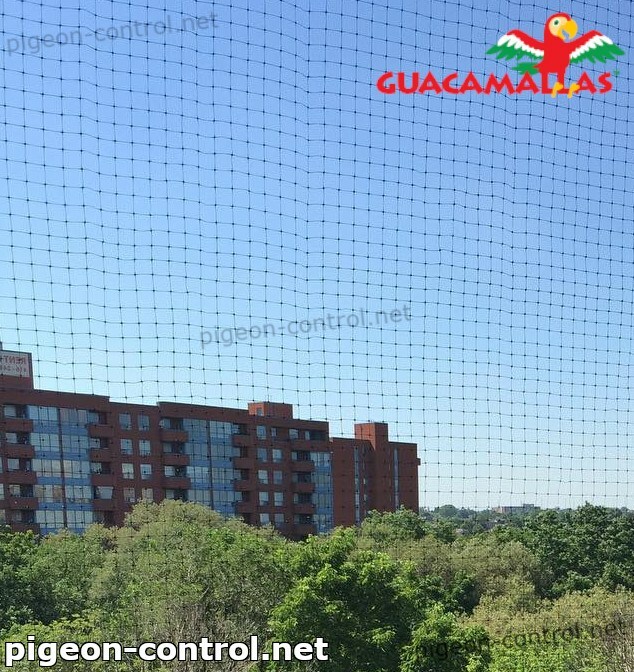 Assets in Urban and Rural Environment are Best Protected with Pigeon Netting. The anti bird net method provides good protection to prevent birds from invading your home or your crops. Agricultural crops and buildings in urban areas are under the constant threat of pigeons. Pigeon netting is an exclusion device we can often see in our surroundings. It is widely applicable by farmers in the protection of valuable assets, especially fruit crops. Netting serves as a physical barrier that can be combined with some other deterrents, for example, sound devices. Pigeon netting is also effective against wild birds. The extensive use in the urban environment has been conditioned by the fact that it is necessary to protect buildings, especially those of public interest, from persistent pigeons that can damage roofs or ruin the aesthetic quality of the facades. Balconies are especially endangered. Although gulls, sparrows, and some other species are efficiently repelled by netting, it is important to think of different gauges each species demands. Sometimes, it happens that several bird species roost on the buildings. The holes in the nylon bird netting need to be small enough to prevent birds from entering the restricted area. If such net is placed horizontally, the birds will not be able to lend on the net or to walk on it. However, some horizontal implementation will exclude all species from the area but small mesh size will not prevent pigeons from walking or landing on the net. This permanent problem does not have a universal solution. Agricultural sector deals with a lot of bird species. Pigeon netting varies in type and size according to targeted species and to the kind of crop and its surroundings. Basically, netting is made of plastic material (polyethylene or polypropylene), and it is divided into oriented and extruded type. In most cases, oriented netting has been implemented horizontally. It can stretch easily for its lightweight and tensile characteristics. Oriented netting is a good choice not only for crops but for ponds coverings as well. It protects from bird pests and debris. Extruded netting is known for its stable structure that is suitable for the vertical application. It can protect fruit trees from predators. 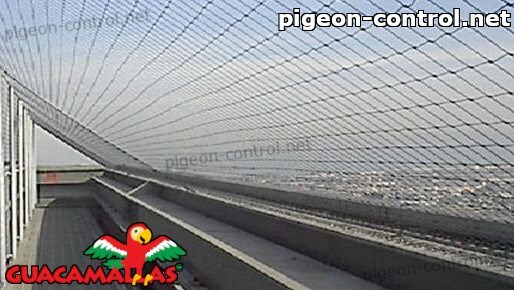 A large variety of the pigeon netting application demands the variety of sizes. A size of 7 mm for oriented netting is the most popular. Extruded netting can have diamond or square meshes. Plastic material the netting is made of is UV stabilized. That means, it is resistant to ultraviolet rays and it can serve well in bird proofing without changing its shape in summer. In accordance with the fact that knotless netting is more solid than the popular knotted type, it is nowadays preferred in bird proofing work. The net is a very suitable option to take care of the attack of the birds. Speaking about poultry netting, there are also various types available. The galvanized chicken wire has been considered as traditional, corrosion resistant net with a long lifespan. PVC coated chicken wire belongs to high-quality materials that are durable and UV resistant as well as stainless steel chicken wire that is stable in harsh surroundings. Some poultry fences have also been made of plastics and designed to protect the poultry and to provide safe rearing. Predators are always attracted to poultry, and one way to protect it is to close it in the area confined with oriented plastic netting. A small mesh size of such net will not allow predators to enter the pen or coop. Wire mesh is a metal article with the greatest applicability for the variety of everyday purposes. Steel, aluminum, copper, and brass are among most commonly used materials. Durability and efficiency are highly rated characteristics of quality netting. They are supposed to last for several years and to protect poultry with an equal reliability throughout the seasons. Weather conditions shouldn’t leave any trace on the high-quality netting. Sustainable poultry rearing demands highest standards as the only way to increase productivity and prevent losses. This net is very suitable and resistant to the exposure of UV rays. In the process of its manufacturing, nylon pigeon netting undergoes so-called ‘heat set’. During this procedure, the net stretches under the steam for a significant period of time. The twine and the knots will gain the shape they are going to preserve until the end of its lifespan. Netting is available in different colors. It is important for the netting is supposed to fit the color of the building it protects. Looking from the outside, it is discreet and almost invisible if installed and maintained in accordance with the instruction. On farms, the color is not of such a great importance. What is important in both cases is that pigeon netting will resist even the heaviest weather conditions. Chemicals, water, and UV rays should not represent any issue, and farmers can point their attention to other aspects of growing plants. Proper installation and adequate maintenance guarantee the lasting quality service of the product. In this case, it can last even for ten years. One has to keep in mind that the basic installation is similar but different kinds of crops may demand some specifics. 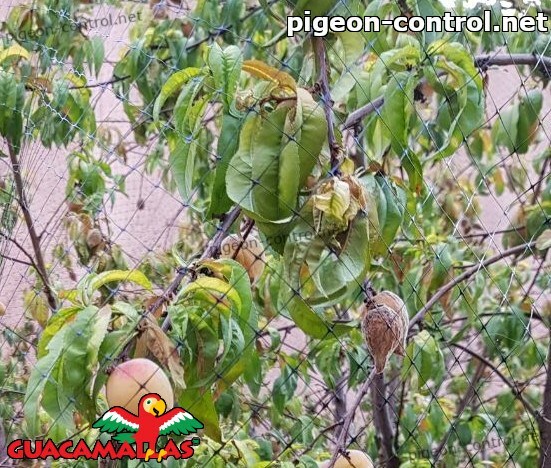 Although bird pest protection is the main purpose of netting, it plays a role in animal and insect control as well. An advantage of the net is that it does not cause damage to crops. 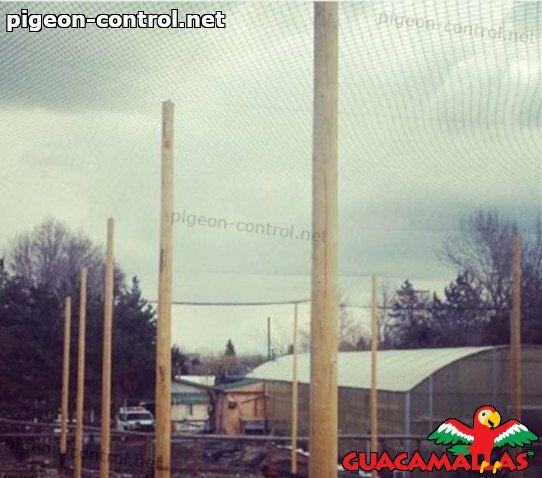 It is important to emphasize a difference between the installation of pigeon netting in urban and in rural environments. The targeted species should be defined at the beginning since a lot depends on the correct choice of the gauge. Color is important for building, and the application of netting should by no means affect the overall appearance. Quality nets will protect vertical and horizontal surfaces but sloping roofs are not excluded. As the netting serves as a physical barrier, its main goal is to completely deter birds from the confined area without violating the legislation. If the installation has been carried out in accordance with highest standards, the netting may last for a decade.